Today, customer experience is just as important as the product itself, but without proper oversight and controls, how can it be ensured? With 3CLogic, gain the tools and insight to monitor interactions, offer suggestions, and intervene when necessary to deliver best in class customer service from anywhere in the world. Even the best may need a helping hand. Guide customer service representatives to deliver, no matter the situation. 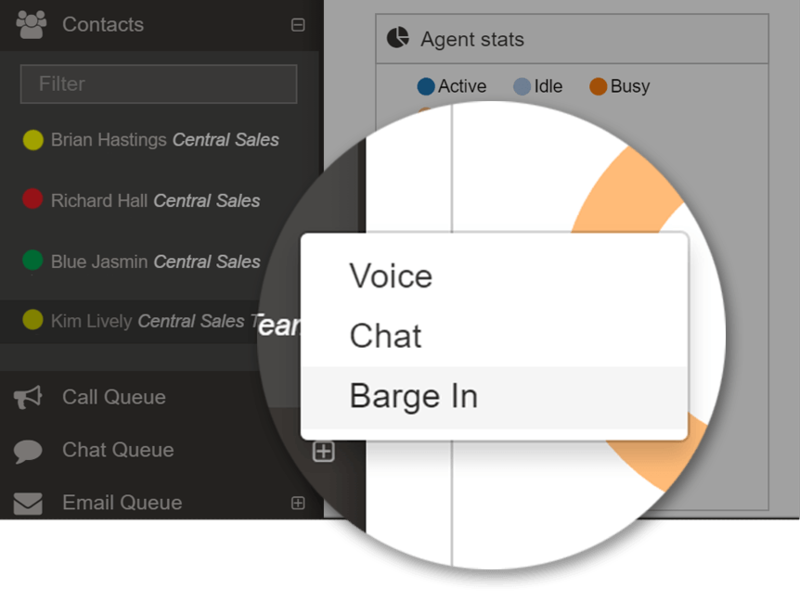 With 3CLogic’s advanced silent monitor tool, enable supervisors to listen in on any call from any location in real-time, without the agent knowing, to ensure every customer interaction is in-line with company goals and client expectations. In the event an interaction requires supervisory intervention, enable supervisors to virtually “barge-in” to immediately assist and resolve any pending issues an agent may be unable to fulfill, facilitating the success of every interaction. Using 3CLogic’s advanced call center solutions, automatically populate agent screens with dynamic scripts and prompts to follow during every interaction, facilitating adherence to company protocol, and industry compliance standards. In the event an agent needs coaching and assistance, offer supervisors the ability to virtually whisper suggestions, without the customer hearing, to ensure a successful and streamlined customer experience—every time. To ensure agents are following company protocol, remaining compliant with industry standards, and delivering an exceptional customer experience, automatically record every call as well as the agent’s screen and store for future reference.